Just like you are amazed how your child’s shoe size can change overnight, we are amazed at how much your child’s mouth can change in six months. Whether it’s checking to see if your child is ready for preventive procedures like sealants, it’s time for an orthodontic referral due to crowding teeth, or there’s not enough room for wisdom teeth, our doctors know what issues to assess at every stage of your child’s development. We perform a growth and development assessment during every routine appointment to keep you on top of your child’s dental health. When & Why do we take x-rays? 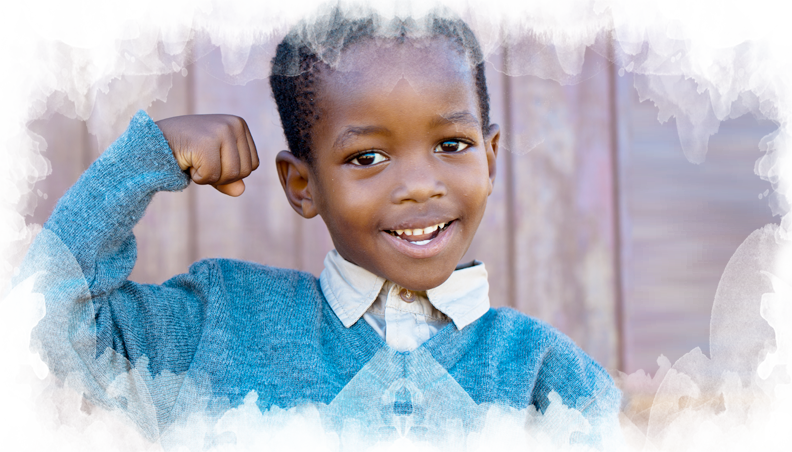 Every child is unique and the need for x-rays varies from child to child. X-rays provide a complete view of your child’s health and growth, allowing the dentist to diagnose and treat conditions that cannot be detected during a clinical exam. Bitewing X-rays may be taken around age 3 or as soon as the back molars touch. These x-rays are often taken once every 12-18 months, depending on caries risk, and show the ‘in-between’ areas of the back teeth, giving us a good picture of what we can’t see with the naked eye. When small cavities are detected, they are easier to fix, less painful and save your child from extreme dental treatment. Anterior Occlusal X-rays are taken around age 3. These x-rays are important to detect tooth decay between the front baby teeth, evaluate the development of the front adult teeth, and the presence, if any, of extra teeth. 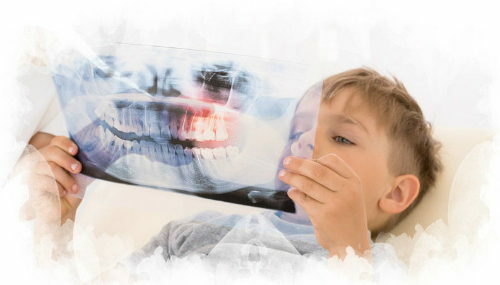 Panoramic X-rays are taken around the eruption of the first permanent tooth or around age 6. This x-ray is taken every few years during childhood development to evaluate the developing teeth, including impacted, missing or extra teeth, and to detect any abnormalities such as tumors or cysts. This x-ray also provides the diagnostics necessary to evaluate wisdom teeth later in the teenage years.